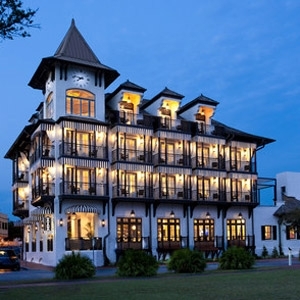 The Pearl hotel property located in Rosemary Beach, Florida, features hotel bedding made by DOWNLITE. The Pearl Hotel uses all three styles of our EnviroLoft hotel pillows (They bought twice as many medium pillows versus soft pillows or firm pillow styles - so make sure you buy the right model). These products are available for sale to home customers.